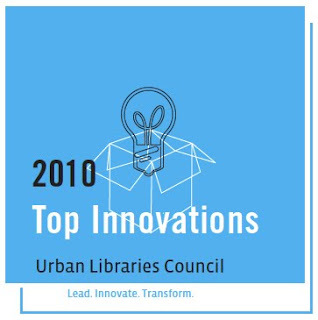 If you haven't seen it yet, check out Urban Library Council's 2010 Top Innovations (PDF). ULC's panel of judges reviewed over 200 entries and selected 12 programs "based on their innovation, results achieved, and capacity to be replicated in other libraries." 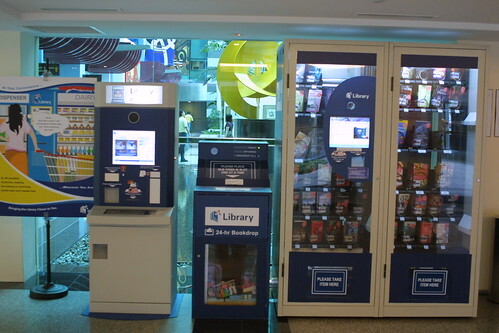 If I were to pick a favorite, I would probably choose San Francisco Public Library's Green Stacks program. The program successfully interweaves sustainability, education, and community. I'm intreagued by the idea of the library as a conduit for local knowledge moving from patron to patron through the use of community gardening. This idea of harvesting community knowledge has also been discussed by CML's Helene Blowers.